The label on your product is your chance to impact on the customer. This visual impact can only be achieved by using quality materials properly printed and applied. Today we offer you far more than a simple label; we support our customers with individual tailored labelling solutions across a wide variety of industries and environments. Whether you’re responsible for a distribution centre, a retail outlet or warehouse. Whether your industry is food, logistics, clothes, gardening or pharmaceutical. Whether you’re a supplier, manufacturer or service provider. Use our experience to your advantage. We know labels and we understand what kind of label is ideal for any given application. 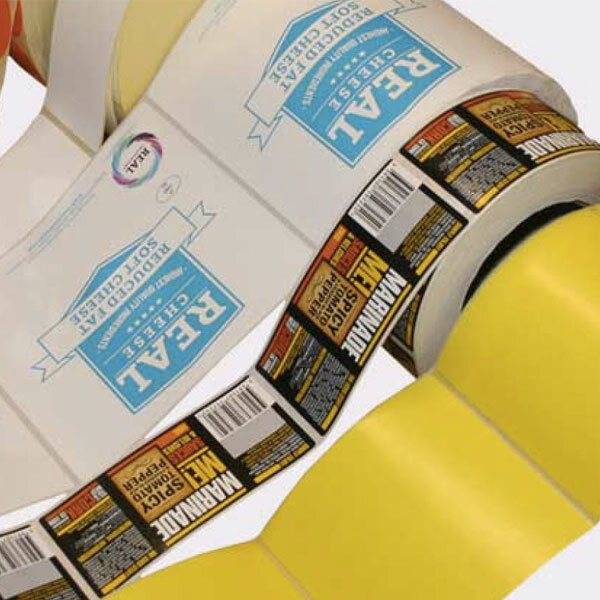 Our extensive knowledge of label materials helps us get the right adhesive and facestock for your label, we have creative solutions to the many problems that include custom die cuts, complex build and more.Use our experience to your advantage. How can a Label be applied your product? Check out our Label Application Options Contact us if you would like more information, comprehensive advice, on-site service or support. We are happy to discuss the options best suited to your specific label needs.